Pink Gel nail polish. Selection of pink gel nail polishes that cure under a UV or LED lamp. Pink Shellac, Creative Play UV or Gelish. Light pink to Fuschia pink shades of gel nail polishes for pink nails. Gelish Gel Polish All That Glitters Is Gold 15mL UV gel polish lasting up to 3 weeks. Gelish Gel Polish Am I Making You Gelish? 15mL UV gel polish lasting up to 3 weeks. Gelish Gel Polish Rub me the Sarong Way 15mL UV gel polish lasting up to 3 weeks. Gelish Gel Polish She's my Beauty 15mL UV gel polish lasting up to 3 weeks. Gelish Gel Polish You're So Sweet You're Giving me a Toothach UV gel polish lasting up to 3 weeks. Gelish Gel Polish Shake it Till You Samba 15mL UV gel polish lasting up to 3 weeks. Gelish Gel Polish Taupe Model 15mL UV gel polish lasting up to 3 weeks. Gelish Gel Polish UV Black Cherry Berry 15mL UV gel polish lasting up to 3 weeks. Gelish Gel Polish Hot Rod Red 15mL UV gel polish lasting up to 3 weeks. Gelish Gel Polish Pink Smoothie 15mL UV gel polish lasting up to 3 weeks. Gelish Gel Polish Glamour Queen 15mL UV gel polish lasting up to 3 weeks. Gelish Gel Polish Need a Tan 15mL UV gel polish lasting up to 3 weeks. Gelish Gel Polish High Voltage 15mL UV gel polish lasting up to 3 weeks. Gelish Gel Polish Good Gossip 15mL UV gel polish lasting up to 3 weeks. Gelish Gel Polish Water Field 15mL UV gel polish lasting up to 3 weeks. Gelish Gel Polish Stand Out 15mL UV gel polish lasting up to 3 weeks. Gelish Gel Polish Passion 15mL UV gel polish lasting up to 3 weeks. Gelish Gel Polish Exhale 15mL UV gel polish lasting up to 3 weeks. Gelish Gel Polish Light Elegant 15mL UV gel polish lasting up to 3 weeks. Gelish Gel Polish Forever Beauty 15mL UV gel polish lasting up to 3 weeks. Gelish Gel Polish Simple Sheer 15mL UV gel polish lasting up to 3 weeks. Gelish Gel Polish Sheek White 15mL UV gel polish lasting up to 3 weeks. Gelish Gel Polish Tan my Hide 15mL UV gel polish lasting up to 3 weeks. Gelish Gel Polish Strike a Posie 15 mL UV gel polish lasting up to 3 weeks. Gelish Gel Polish Follow the Petals 15 mL UV gel polish lasting up to 3 weeks. Gelish Gel Polish Young, Wild and Freesia 15 mL UV gel polish lasting up to 3 weeks. Gelish Gel Polish I Feel Flower-Ful 15 mL UV gel polish lasting up to 3 weeks. Gelish Gel Polish Gardenia my Heart 15 mL UV gel polish lasting up to 3 weeks. Gelish Gel Polish Merci Bouquet 15 mL UV gel polish lasting up to 3 weeks. CND Creative Play Gel Polish #534 Red Rush 0.5oz Creative Play UV and LED gel Polish is a new generation of gel polish. CND Creative Play Gel Polish #533 Envied Green 0.5oz Creative Play UV and LED gel Polish is a new generation of gel polish. CND Creative Play Gel Polish #532 Night Light 0.5oz Creative Play UV and LED gel Polish is a new generation of gel polish. CND Creative Play Gel Polish #531 Drop Coin 0.5oz Creative Play UV and LED gel Polish is a new generation of gel polish. CND Creative Play Gel Polish #530 Party Girl 0.5oz Creative Play UV and LED gel Polish is a new generation of gel polish. CND Creative Play UV Polish #529 Tinsel Town 0.5oz Creative Play UV and LED gel Polish is a new generation of gel polish. Gelish Gel Polish A Little Naughty 15mL UV gel polish lasting up to 3 weeks. CND Creative Play Polish Duo #453 Hottie Tomattie Creative Play UV and LED gel Polish is a new generation of gel polish. Duo pack. CND Creative Play Polish Duo #452 I Blanked Out Creative Play UV and LED gel Polish is a new generation of gel polish. Duo pack. CND Creative Play Polish Duo #451 Black Forth Creative Play UV and LED gel Polish is a new generation of gel polish. Duo pack. CND Creative Play Polish Duo #449 Glittabulous Creative Play UV and LED gel Polish is a new generation of gel polish. Duo pack. CND Creative Play Polish Duo #444 Raisin Eyebrows Creative Play UV and LED gel Polish is a new generation of gel polish. Duo pack. CND Creative Play Polish Duo #443 A Lilacy Story Creative Play UV and LED gel Polish is a new generation of gel polish. Duo pack. CND Creative Play Polish Duo #440 Royalista Creative Play UV and LED gel Polish is a new generation of gel polish. Duo pack. CND Creative Play Polish Duo #439 Ship Notized Creative Play UV and LED gel Polish is a new generation of gel polish. Duo pack. CND Creative Play Polish Duo #411 Well Red Creative Play UV and LED gel Polish is a new generation of gel polish. Duo pack. CND Creative Play Polish Duo #403 Bubba Glam Creative Play UV and LED gel Polish is a new generation of gel polish. Duo pack. CND Creative Play Polish Duo #402 Life's a Cupcake Creative Play UV and LED gel Polish is a new generation of gel polish. Duo pack. CND Creative Play UV Polish #528 Pink Intensity 0.5oz Creative Play UV and LED gel Polish is a new generation of gel polish. CND Creative Play UV Polish #527 Vivid Daisy 0.5oz Creative Play UV and LED gel Polish is a new generation of gel polish. CND Creative Play UV Polish #526 Orange Pulse 0.5oz Creative Play UV and LED gel Polish is a new generation of gel polish. CND Creative Play UV Polish #525 Seabright 0.5oz Creative Play UV and LED gel Polish is a new generation of gel polish. CND Creative Play UV Polish #524 Green Scream 0.5oz Creative Play UV and LED gel Polish is a new generation of gel polish. CND Creative Play UV Polish #523 Magenta Pop 0.5 oz Creative Play UV and LED gel Polish is a new generation of gel polish. Shellac UV polish in color After Hours is a UV nail polish that last over 14 days. Opaque color. The brush is flat for an easier application. Shellac UV polish in color Bellini is a UV nail polish that last over 14 days. Opaque color. The brush is flat for an easier application. Shellac UV polish in color Soiree Strut is a UV nail polish that last over 14 days. Opaque color. The brush is flat for an easier application. Shellac UV polish in color Kiss of Fire is a UV nail polish that last over 14 days. Opaque color. The brush is flat for an easier application. Shellac UV polish in color Gypsy is a UV nail polish that last over 14 days. Opaque color. The brush is flat for an easier application. Shellac UV polish in color Vagabond is a UV nail polish that last over 14 days. Opaque color. The brush is flat for an easier application. Shellac UV polish in color Unhibited is a UV nail polish that last over 14 days. Opaque color. The brush is flat for an easier application. Shellac UV polish in color Offbeat is a UV nail polish that last over 14 days. Opaque color. The brush is flat for an easier application. CND Creative Play UV Polish #518 Charged 0.5oz Creative Play UV and LED gel Polish is a new generation of gel polish. CND Creative Play UV Polish #522 Zoned Out 0.5oz Creative Play UV and LED gel Polish is a new generation of gel polish. CND Creative Play UV Polish #521 Tickled 0.5oz Creative Play UV and LED gel Polish is a new generation of gel polish. CND Creative Play UV Polish #520 Blown Away 0.5oz Creative Play UV and LED gel Polish is a new generation of gel polish. CND Creative Play UV Polish #519 Pumped 0.5oz Creative Play UV and LED gel Polish is a new generation of gel polish. CND Creative Play UV Polish #516 All in 0.5oz Creative Play UV and LED gel Polish is a new generation of gel polish. CND Creative Play UV Polish #515 Pepped Up 0.5oz Creative Play UV and LED gel Polish is a new generation of gel polish. Shellac UV polish in color Bloodline is a UV nail polish that last over 14 days. Opaque color. The brush is flat for an easier application. 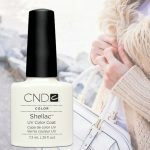 Shellac UV polish in color Cuppa Joe is a UV nail polish that last over 14 days. Opaque color. The brush is flat for an easier application. Shellac and Vinylux Display Chic Shock Collection Shellac UV polish is a UV nail polish that last over 14 days and Vinylux is a regular polish that lasts 7 days. Opaque color. The brush is flat for an easier application. Shellac Display Chic Shock Collection Shellac UV polish is a UV nail polish that last over 14 days. Opaque color. The brush is flat for an easier application. Shellac UV polish in color Gummi is a UV nail polish that last over 14 days. Opaque color. The brush is flat for an easier application. Shellac UV polish in color Jellied is a UV nail polish that last over 14 days. Opaque color. The brush is flat for an easier application. Shellac UV polish in color Taffy is a UV nail polish that last over 14 days. Opaque color. The brush is flat for an easier application. 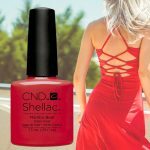 Shellac UV polish in color Candied is a UV nail polish that last over 14 days. Opaque color. The brush is flat for an easier application. Shellac UV polish in color Unearthed is a UV nail polish that last over 14 days. Opaque color. The brush is flat for an easier application. Shellac UV polish in color Unmasked is a UV nail polish that last over 14 days. Opaque color. The brush is flat for an easier application. Shellac UV polish in color Unlocked is a UV nail polish that last over 14 days. Opaque color. The brush is flat for an easier application. 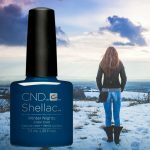 Shellac UV polish in color Uncovered is a UV nail polish that last over 14 days. Opaque color. The brush is flat for an easier application. Gelish Gel Polish A Touch of Sass 15mL UV gel polish lasting up to 3 weeks. Gelish Gel Polish No Way Rosé 15mL UV gel polish lasting up to 3 weeks. Gelish Gel Polish Mint Chocolate Chip 15mL UV gel polish lasting up to 3 weeks. Gelish Gel Polish Water Baby 15mL UV gel polish lasting up to 3 weeks. Gelish Gel Polish Making Waves 15mL UV gel polish lasting up to 3 weeks. Gelish Gel Polish Whose Cider Are You On? 15mL UV gel polish lasting up to 3 weeks. Gelish Gel Polish Give me Gold 15mL UV gel polish lasting up to 3 weeks. Gelish Gel Polish Sweater Weather 15mL UV gel polish lasting up to 3 weeks. Gelish Gel Polish Prettier In Pink 15mL - Pink UV gel polish lasting up to 3 weeks. Gelish Gel Polish Sweet Morning Dew 15mL - Coral UV gel polish lasting up to 3 weeks. Gelish Gel Polish Arctic Freeze 15mL - White UV gel polish lasting up to 3 weeks. Gelish Gel Polish Best Dressed 15mL - Metallic Red UV gel polish lasting up to 3 weeks. Gelish Gel Polish Simply Irresistible 15mL - Sheer Beige UV gel polish lasting up to 3 weeks.